Although the critical attitude toward street art has changed, for most street artists being quick is still essential. For many other reasons, but also in order to avoid problems with the law and conservative passersby, they ought to finish their works before allowing themselves to get into trouble. Sometimes they succeed, sometimes they don’t, but the key to any task in street art is finding a balance between the amount of time invested, and the result. Every technique comes useful for different things, and has its pros and cons. Those who think of street art as a form of painting, in an almost traditional way, usually stick to spray paint and use their walls as canvases. Freehand spraying and painting is something you can never really overestimate, but the problem is, it usually takes way too much time. Then you have stencils, which have definitely made an important impact and are very useful for all the practical reasons – they are relatively easy to use, and can be made quite quickly. 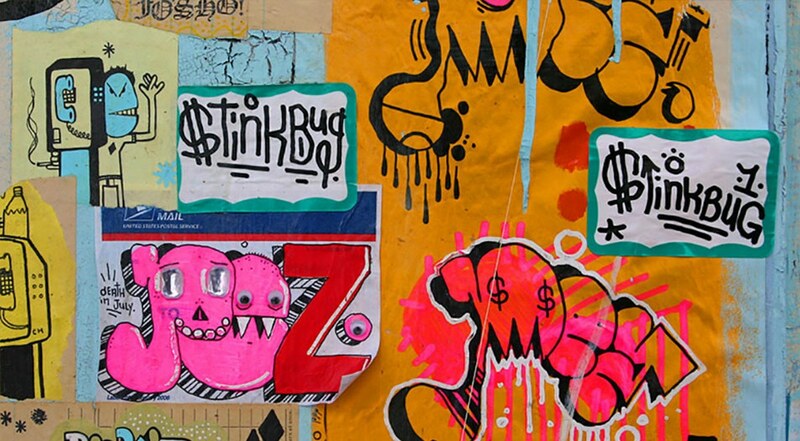 In the end, one of the most efficient techniques in street art is sticker art, or sticker bombing, but it still remains a little bit neglected, when compared to murals and stencils. Street art is ephemeral by nature, and especially if you’re not a world famous street artist your work will probably once be replaced by somebody else’s, or painted over. 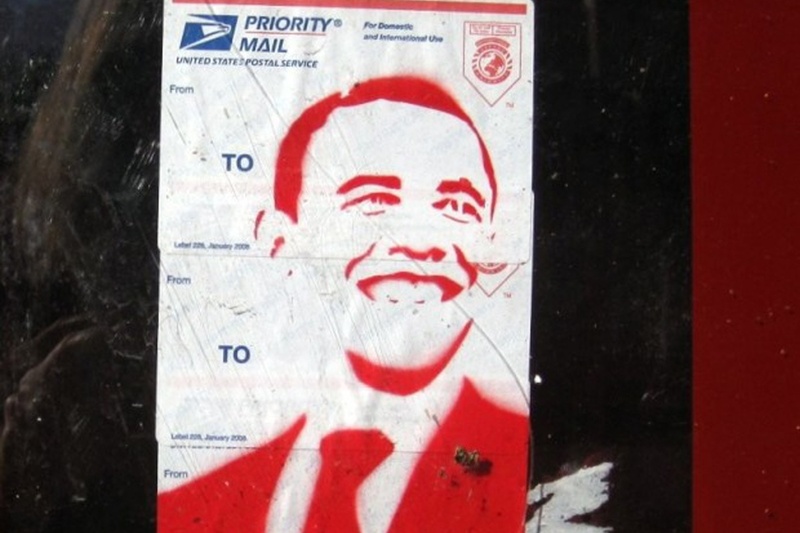 When it comes to pasting stickers, things seem even less permanent. No matter how you treat your paper, and what kind of glue you use, the stickers will start to decompose at some point, or get removed (which is, by the way, not that easy as it seems). But stickers have so many other beneficial aspects! First of all, you really can make as many stickers as you like, if you’re making your own line of cutout stickers. Like Shepard Fairy said: Repetition works, and stickers are a perfect medium to demonstrate this principle. You can make thousands of them, and even print them yourself, using a regular printer, and simply cut them out using a scalpel – it’s really that easy. If you don’t have a printer, or don’t want to do it in a printing office, your other option is to buy postal service or name tags, which is a very cheap option that many artists use with particular joy. This became a street art classic over time. The empty space on the name tag is used as a tiny canvas for a freehand drawing or a tag, or even a stencil. The transportable postal labels, originally used for something completely different, but cleverly deployed by street artists as a useful tool, are very hard to remove and are therefore loved by many artists. It’s a harmless scam, another small victory over daily routines, and the best part is – it’s barely illegal. 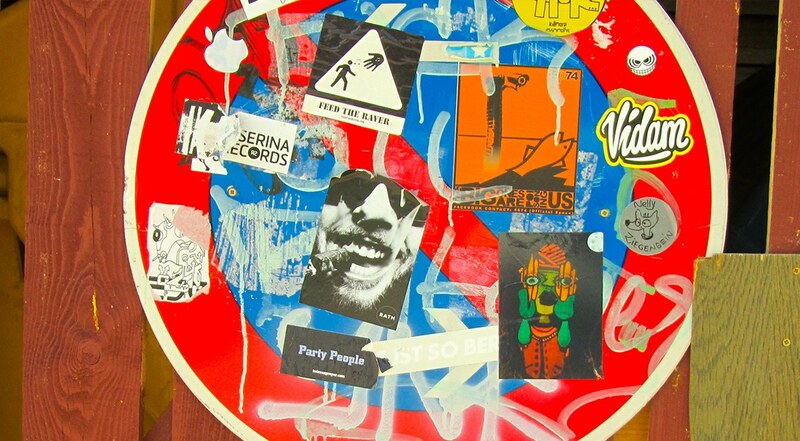 Lastly, one of the best aspects of sticker bombing is the way that stickers can be placed basically anywhere. And even better – by anyone. You can design your stickers, print your illustrations, write messages or even sign a thousand tag stickers, and give it to your friends, so they can place them wherever they want. You don’t even have to be there. Since they circulate so easily and are applicable to any surface, stickers are often used to deliver messages that the authors believe are important. Regardless of the tone and the importance of the message, they certainly come in handy. 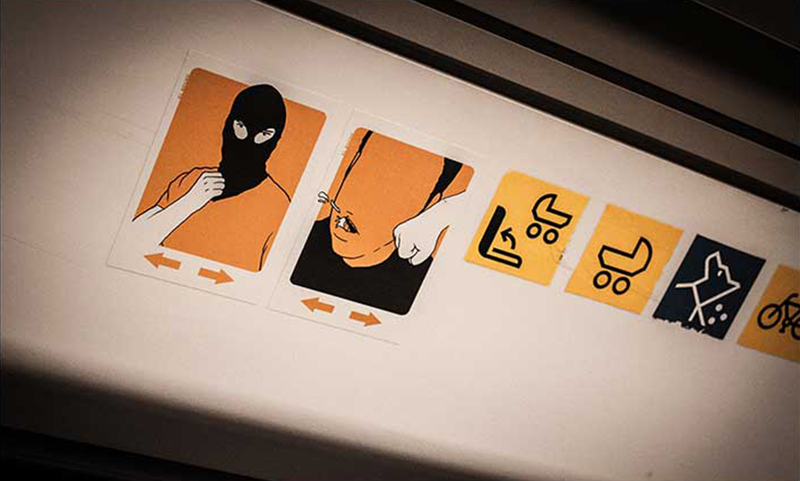 The trick is, you can come across stickers everywhere, but most importantly in neutral places where you can easily get attracted by them: in public transport, on your way to school or your job, while waiting for the traffic light to turn green, or in bathroom stalls. They are (usually) small, but visually dense, so they somehow, magically, manage to interrupt all the white noise. In Berlin, there are places where you can buy branded or designed stickers for fun, in case you are a fan of the ritual. You can also have your own stickers, after you find them in a magazine. For the kids of the nineties, stickers perhaps have an even deeper meaning. You don’t really have to be a street artist to love them, since we had a special relationship with sticker albums, and the process brings so much pleasure itself. If you’re looking for some good sticker bombers who are based in Berlin, try with El Bocho‘s or St8ment‘s amazing works, who often include the paste-up technique but are keen on stickers as well. 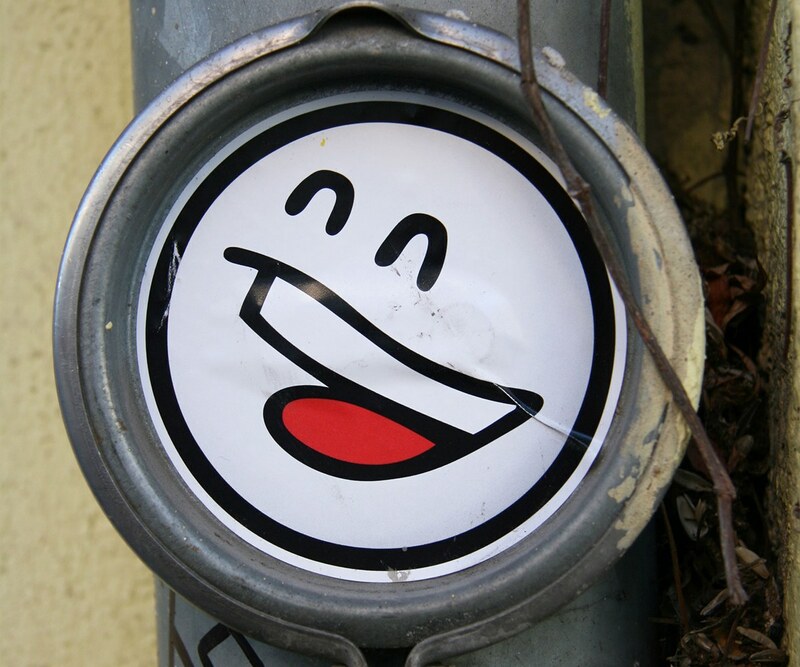 Also check out Mein Lieber Prost‘s famous smiley faces – or, simply take a Berlin Street Art tour and see them all together.